By investing in the stock market, the investors are becoming a shareholder of a particular company through buying the specific stock. As a shareholder, investors will be updated from time to time about the company’s new direction including announcements of “Bonus Issue” and “Right shares Issue”. 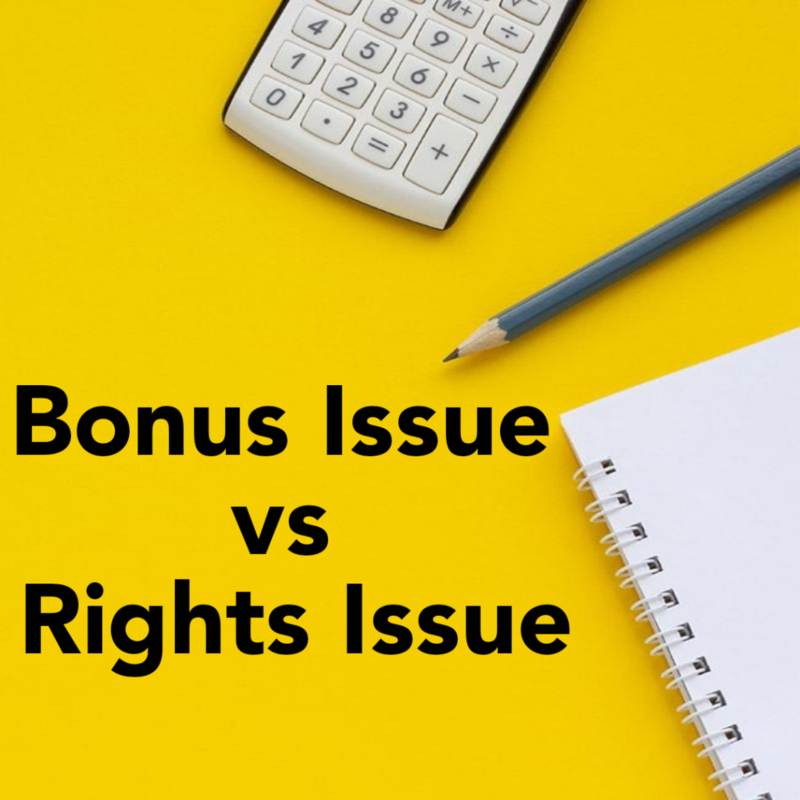 Both seem alike, but there are a different so all shareholders should understand what differentiates between Bonus Issue and Right Issue and react accordingly. Bonus Issue defined as free new shares issued to the existing shareholders based on the specified proportion of shares they are holdings which will be at free of cost. Bonus Shares is a conversion of the company’s accumulated earnings which are not given out in the form of dividends but converted into free shares. When the bonus share distribution happens, it will increase the total number of shares owned by the firm. The Bonus shares do not inject fresh working capital into the company, as there are to distribute among the shareholders without any conditions. The net worth of the company will remain the same. Usually, bonus shares will pay up in full, and the shareholders are also allowed to sell those bonus shares to make a quick profit or save it for future gain. Let us look at the example of bonus issue. If the company declares 3:2 of bonus issues, it means that every 2 shares held by shareholders, 3 Bonus share will be allotted to them. A shareholder with 1,000 shares will be received 1,500 bonus shares which calculated as (1000 x 3/2 = 1500). The purpose of the company issue bonus shares is to increase the active trading by increasing the number of outstanding shares in the market through a reduction in market price per share to a reasonable range. 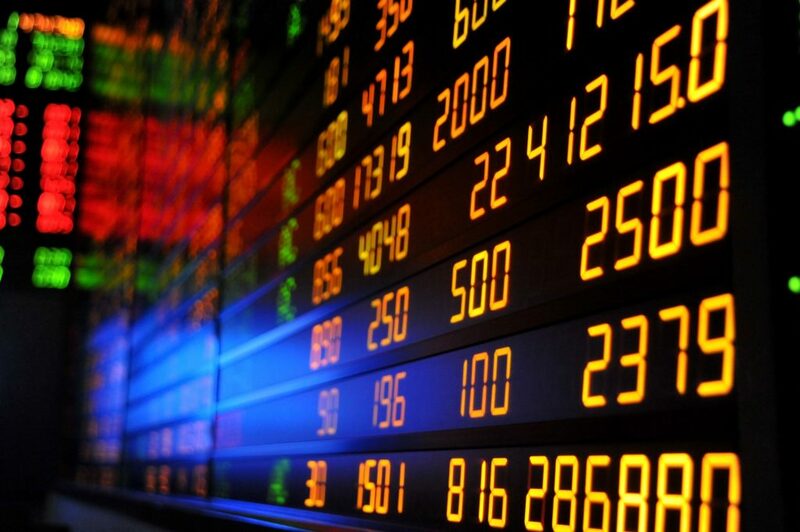 The companies can increase their stock liquidity and promote more active trading of the shares. It also incentivizes the new investors to purchase the company shares that are performing well within an attractive price range. It will also help the company to avoid the outflows of cash in the form of dividends. Right share is for the existing shareholders who have the privilege but not obligation to purchase the specified number of shares directly from the company based on the proportion of existing holdings at a discounted price within the specified period. The rights are transferable. Therefore, the shareholders can decide on himself whether or not to buy or even sell off his rights in the open market to other investors by wholly or partially. The right shares issued to the shareholders have values that used to compensate the current shareholders for future dilution of their existing share’s value. Dilution will occur when a rights offering spreads a company’s net profit over a more extensive number of shares. Thus, the company’s earnings per share (EPS) will decreases as the allocated earnings result in share dilution. Let us look at the example of the right issue. If the company give out a 1:4 right issue means that an existing investor can purchase 1 extra share for every 4 shares which already held by him. The issued price usually will be lower than the prevailing market price of the stock, which means that the share is to offer at a discount to the current market price. A Right Issues is carried out by a company to raise additional capital. Companies will use the cash to acquired assets, takeover, corporate expansion or repays their debts. However, the company also can raise money by other ways, such as obtain a loan from a bank. There will be times when the banks are reluctant to lend, the rights issue will be an option. Besides, there will be a high interest incurred by the loans, which may force the company to raise the capital through the right issue of offerings to clear the credit. Therefore, investors need to make investment decision whether or not they want to take up the right issue. Share Price Shares dilution will bring down the share price in a short period and investors most of the time will not gain nor lose anything. Shares price may plunge due to shareholders will sell the rights to the open market which in discounted price. It also sends the signal to the market that the company may be in trouble so need to find new capital. Both Right Shares and Bonus Shares have few similarities which offered to the existing shareholders as a tactic that company use to increase the number of their shares in the market. Written by Stella Goh | 28 November 2018. Recently I had attended few seminars promoting investment strategy using artificial intelligence. Due to curiosity, I have done some research about Algo trading vs AI and would like to share it here. For readers info, I’m not a computer genius nor super trader so the reader can give feedback or correct me if I am wrong in whatever info provided here. This method of trading is referred to as a method of preset action of execution by a trader or a computer repeatedly over a period set. It starts with a set of rules and condition, which developed by experienced traders where it will be tested first in simulation to gauge the effectiveness of the program to make a profit in the market. This simple instruction can code into a computer program using the past data movement of the stock price and put in the test simulation that we called as ‘backtest’. The test shall generate more than 100 trade or even 10,000 trades provided the stock price data history is long enough from the past to the present. With the generated test simulation, the traders will know how much profit/lost, risk/reward ratio, recovery factor and much other info that generate using this trading method in the past. The trader will assume that the program will create a similar performance in future and will use it to trade in real account if it is profitable and within the comfortable risk. So far until now, I haven’t seen anyone using artificial intelligence to trade. Yes, I know some of the investment gurus, investment fund house or brokers claim that they already use it to trade the market, but I had a doubt on that. Let’s understand what A.I. is and how it works. 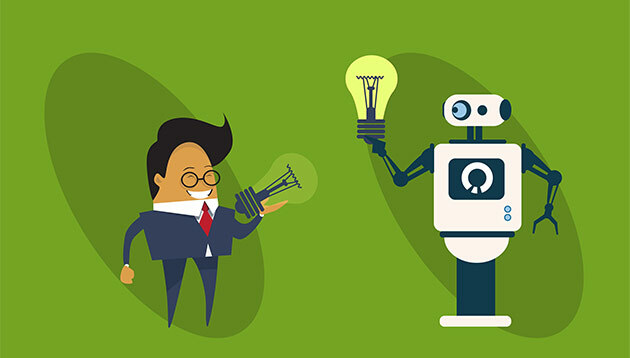 The AI starts with a programming system which mimics the human intellectual and they called it ‘neural network’. By the layman terms, everything starts with few points and the computer will start the first step to learn to identify ‘correct’ and ‘not correct’. Example like a human child, if you want to teach an AI to learn how to differentiate a cat picture with rest of the image, show it a set few random pictures then you select the one with the cat to tell the computer that is a cat. The process can run many times until the machine can identify more accurately which image has a cat in it. The learning process can be unlimited hence the more complex the situation, the more it needs the support of super fast multi servers to store and to run it. That is how an AI learn, from experience. Outcome shall be better in future due to the machine will learn and correct itself each time. The result is often predictable and similar to past. But it will change when market behaviour change. To trade market using artificial intelligence, I think it will need some massive tech company and funding to support it like Goldman Sachs already start the AI project. You will need an AI that can learn from multi and diverse info like what US President will speak about, when he will be talking, How his tone will impact the market, when is the storm coming and how it will change the market, etc..etc.. The cost will be huge; it will be like combining many AI into one super AI to trade the market successfully. In conjunction with Invest fair Singapore 2018, ShareInvestor had added two new awesome features into ShareInvestor Station and Webpro to enhance the available functions to the subscribers further. The best thing is new and old subscribers does not net to pay any extra to get this additional value! Intrinsic value refers to the value of a stock determined through fundamental analysis including tangible and intangible factors, without reference to its market value and it’s the concept always been champion by value investors around the world. Few useful sub-functions also included like the comparison of local and global companies in the same industry (peer analysis) and the addition of another important metric: Piotroski F score to highlight fundamentally strong companies. Piotroski F Score is a score between 0-9 which reflects the financial strength of a company in term of its fundamental value, based on 9 accounting-based parameters. The parameters are related to the company’s profitability, leverage, liquidity & source of funds and operating efficiency. i) Profitability: Measures the company’s profitability and ability to generate positive earnings or cash flows. ii) Leverage, Liquidity and Source of Funds: Measures the changes in capital structure and the company’s ability to meet its debt service obligations. iii) Operating Efficiency: Measures the efficiency of the company’s operations and the uses of its assets. Companies with a high score of 8-9, considered fundamentally good whereas companies with a low score of 0-2 are considered weak. If you are planning to own shares of the company in the stock market, you may want to know who is the major shareholders in that company. A good company usually will be invested by big fund houses like KWSP, Khazanah or even international Fund like Vanguard, Berkshire Hattaway and Fidelity Fund. 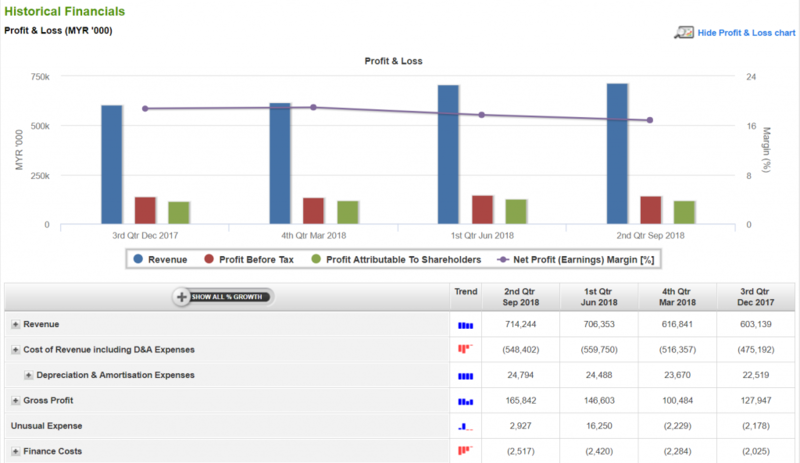 Now with this new functions will enable you to access the info who is the top shareholders for each company and analyse their ownership details across the world. If you wish to know more about ShareInvestor Station and Webpro, do contact us via email accounts.my@shareinvestor.com or call during office hour 9.00am to 6.00pm. Long-term investors always look at passive returns for their investment asset and most will opt for a fixed deposit to gain interest rates. But why most of the fund managers across the world invest in the stock market instead? To answer the question above, we need to explore why a stock market is an attraction for them to invest. Most of the public listed company lead by a CEO (Chief Executive Officer) where his performance is driven by giving a good investment return to his bosses, which is the chairman and the shareholders. By doing that, most of the company will provide a dividend return rates that better than FD rates or will buy back shares from time to time to elevate the stock price to make it worth to hold the shares for future gain or do both. A company that focuses on growth yield usually will buyback company shares using profit generated from the company business or other investment profit/dividend gain. This practice will limit the shares quantity traded in the market, hence reduce the volatility and make it worth to hold by creating a scarcity of the stock. Some growth company will give out dividend but most of the time will be lower than fixed deposit rates. The reason is the company will need the cash to be invested back into the company by expanding the business or increase the investment asset holding like property, other company stock etc. By doing this exercise, it will improve the company value, hence attracting long-term investors. Most stock price in growth yield company will be in a long-term uptrend and tend to be more resilient to the short-term market volatility. The stock price also tends to be much more expensive compared with the dividend yield company. In the longer term, the growth yield company mostly will surpass dividend yield company regarding yield returns. Example, the company A stock price that worth RM10 only give dividend 1% yield and if you buy now will get RM0.1 dividend year later. But after ten years, when the stock price increase to RM100, 1% dividend equal to RM1 which mean your dividend returns from your initial RM10 had increased from 1% to 10%! Dividend yield company almost an opposite from growth yield company, where most of it tends to have limited cash for investment growth in future, stock price either in sideways or downtrend and they always give dividend higher than fixed deposit rates and more succumbed to short-term market volatility. Investors who invest in dividend yield company will hold the company stock in a shorter-term timeframe. This type of company normally will need to be able to generate consistent cash flow like the gaming industry. Future revenue and profitability will be less important here as compared to the growth yield company. Some companies had exceptional where there are more resilient to the stock market price volatility, especially REITs holding. REIT income generated by rental yield from the property and property price tend to rise in future, which brings up the REIT value, hence tend to trend higher but at a slower pace. While further study and more in-depth analysis needed to find a good shares company to invest for long-term, above guideline can serve as basic knowledge for a start. The investor is advised to understand his/her investment timeframe as well as the desired profit target in the foreseeable future. Written by Jeff Kum | 7 November 2018. 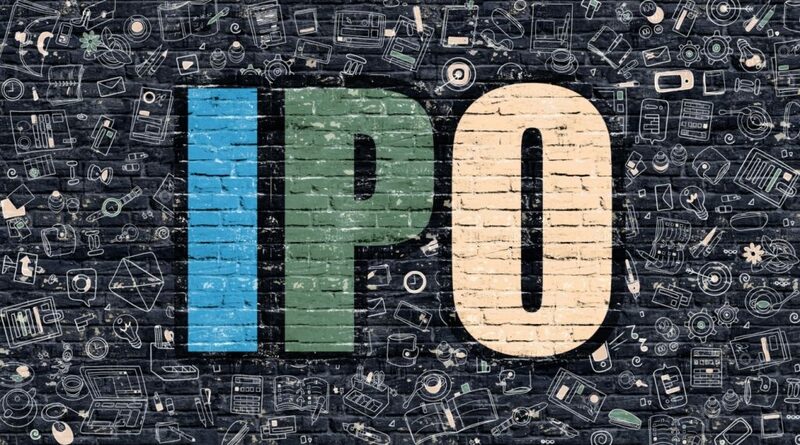 Initial Public Offering (IPOs) is a type a process happened when the private company issued new or existing shares to be sold to the general public in the primary market to raise funds. The capital gains from the sale of the shares will be used to buy machinery, land or repay for the loans/debts of a company. Most of the companies that offering IPOs are young companies, or the companies that have been operating for many years and finally decided to go for the stock exchange. Through the IPOs, the companies get its name on the stock exchange. IPOs is one of the ways for the young company to gain more access to market capital. The company must apply for IPOs and must be complete for SC to meet its timeline charter of 3 months for consideration of the IPOs application. Incomplete application’s details may cause delays in review and the submission. Advisers may have a pre-submission consultation with SC to discuss the issues on IPO application. Assessments will is make in accord with the provisions of Guidelines to review to ensure it complies with SC’s guidelines on Asset Valuation. Corporate governance will have record checks, and queries will be sent to advisers to seek clarification on issues identified to have a clarification meeting to discuss issues. The recommendation committee which includes senior management from different departments will convene challenges process to ensure the thoroughness and consistency in the recommendation of application tabled with the Issue Committee. They will meet to deliberate and decide on IPO application. The advisers/applicants have six months from the date of SC’s decision letter to implement the listing proposal of Applicant. If any rejection occurred, SC would conduct a post-decision meeting with the applicant to convey and discuss. They have one month time to reveal the rejection. The prospectus must not contain false and misleading, and there is no material omission of statement/disclosures. SC will review and departments will conduct checks on compliance on approval conditions. Once registered, applicants must lodge the prospectus with Companies Commission of Malaysia. The prospectus will start to issue to investors over a period of minimum 5 market days. It will take around 13 market days minimum from the issuance of the prospectus before listing into Bursa exchange. Relevant SC departments perform post-approval follow-up on the terms and conditions of the approval and post- vetting on the prospectus. How to Apply IPOs online? Investors who are interested in subscribing IPOs must have a bank’s online account. 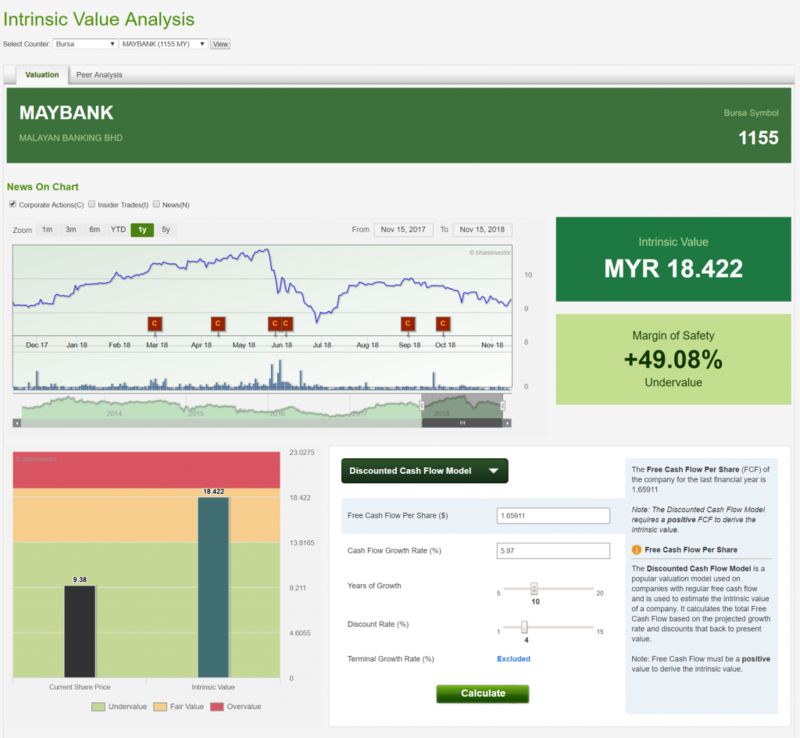 They can log in to their bank account and click the “eShare” for the Maybank’s user, and then it will show you the IPOs list. Then, investors can select the IPOs that he wants to apply. By the way, investors are required to read through the Terms and Conditions of the eShare Application and Declaration and also the prospectus of the IPOs before proceeding. Then, the investors needed filling up the application form and proceed to the submission. However, it may be difficult to purchase the IPOs because there will be a limitation of people can only subscribe to it. It was due to the balloting process to determine who will successfully obtain the rights to purchase the pre-listing of the company shares. 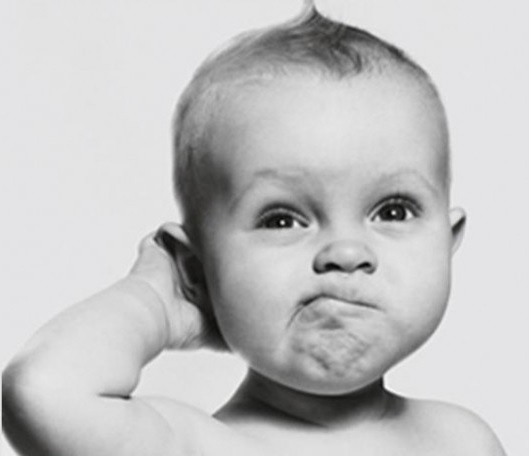 The people who failed may buy the IPO stock during the first day of IPO stock listed in the stock market. How to Determine the Initial Public Offerings is Good or Bad? Investors need to consider a lot of things before invest in a new public company. They need to do some researches on the prospectus of the company before deciding to subscribe the IPOs. The prospectus served as overall information related to the company such as Business Models of the company, financial health, prospects, risks may face and so on. The business model of the company will determine the company future direction and projection. Investors can look into what the company’s primary business is? Can the business sustain in a recession? Can the company maximise their profit in an economic boom? Let’s say the company’s primary business is operating under the food industry. Food is essential for everyone to survive. From this, we knew that this company could survive in all weather market. Company’s past performance is a clear indicator of how the company has performed over the years, and we can use it to project the company future financial performance. If the company’s growth chart is volatile, an investor should refrain from investing in this type of company. However, if the company’s growth rate has been stable and growing over the years, there is a high probability that the company will perform well in the future. However, the financial data is limited because the Securities and Exchange Commission (SEC) only requires the income statement shows the current year plus the past two previous fiscal years of the company. Therefore, investors may be only able to look through the financial highlights of the company so they must also see other details in the prospectus. Investors must understand their risk tolerance when subscribing to the Initial Public Offerings (IPOs). The risk involved is higher when compared to a fixed deposit due to FD provides consistent rates of returns until the maturity date; regardless of market conditions. Initial Public Offerings stocks do not provide a guarantee of returns and will not guarantee they will make money in their business, or the will pay you dividends. Investors have to be comfortable with the risks that they might lose all their money when they are buying the stocks. Investors must be careful on the lock-up periods of the Initial Public Offering after it successfully listed on Bursa Malaysia. When the company goes public, Bursa Malaysia requires the promoters of all applicants for Main Market not to sell, transfer or assign their entire shareholdings in the applicants as at the date of listing, for six months from the date of admission to Bursa Malaysia based on the lock-up agreement between them. Upon expiry of 6 months, all the insiders or substantial shareholder will be freely selling their stocks. Therefore, there will quite some shares up for sale and creating an excess supply that can cause the stock price to drop drastically. Among all investment tools, Initial Public Offerings (IPOs) is one of the choices that investors can consider. Investors shall study and analyse the pros and cons thoroughly before making their investment decisions. Written by Stella Goh | 25th September 2018. There is always an argument between buying a stock or buying a unit trust. Before saying that which one is better, let’s look through the characteristics of both stocks and unit trust for better understanding. A unit trust is a product comes out by a fund house which has a group of professions in managing the capital gathered. It usually exists as an open-ended fund which is no limit with the purchase unit. The price of the shares is determined by the fund’s net asset value (NAV) per share which calculated at the end of each business day. An open-ended fund can issue any number of new shares or can redeem existing shares. Their shares or units of a mutual fund did not trade on an exchange and quoted at per-share NAV (i.e. the fund’s net asset value divided by the number of fund shares outstanding). ‘Unit trust’ comes with the word of ‘trust’ which mean you trust on the fund management team in both ability and professionalism so that you buy the unit of the fund. Hence, the fund manager is fully empowered in decision making in managing the portfolio. Thus, the investor has no rights in judging, questioning and affecting about the assets allocation, diversification and all the decisions made within the portfolio. If you don’t like the style of the fund manager, the only way you can do is divest your units. A unit trust is available in various types with a different investment focus. (ie. Equity Funds, Balanced Funds, Fixed Income Funds, Capital Protected Funds, Shariah Funds, etc.) For example, Shariah funds will only invest into Shariah-compliant investments which avoid companies involved in activities, product or services related to conventional banking, insurance and financial services, gambling, alcoholic beverages and non-halal food products. The set-up of so many types of funds intends to fulfil different kinds of customer’s need and the risk compliance. 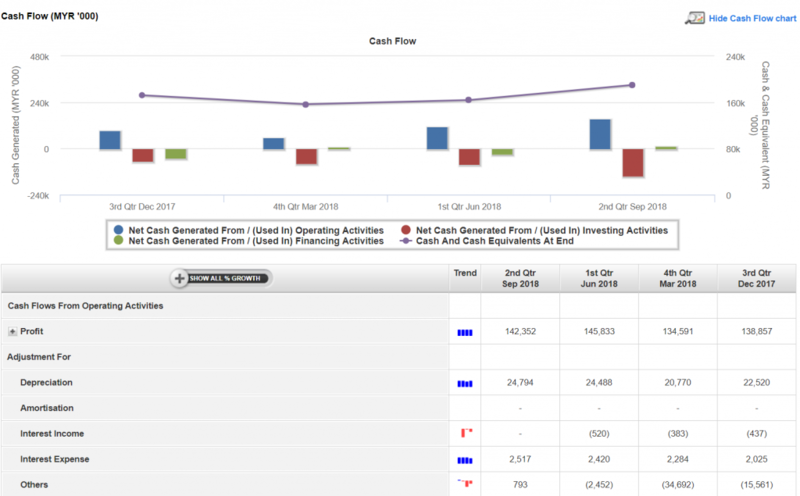 The customer can choose the fund’s that meets your investment objective and approach. Besides, they can also look for the historical performance as a comparison with other similar funds. Although the past performance cannot guarantee the future performance at least, this is a reference for a customer in choosing a better fund as the same concept in fundamental-based stock investing. Investing in a unit trust is like you ask someone to help you in managing your money. Hence, rationally, you have to pay them money for the hard work. Commonly, there are four kinds of charges which are initial sales charge, management fee, redemption charge and switching fee. Initial sales charge also known as front-end load which the investor is charged when buying a unit trust (typically 1.5-5% of your investment). For example, RM 1000 is given to invest in a 5% initial sales charge fund; then the amount will be placed in the portfolio will be left with value worth RM 950. 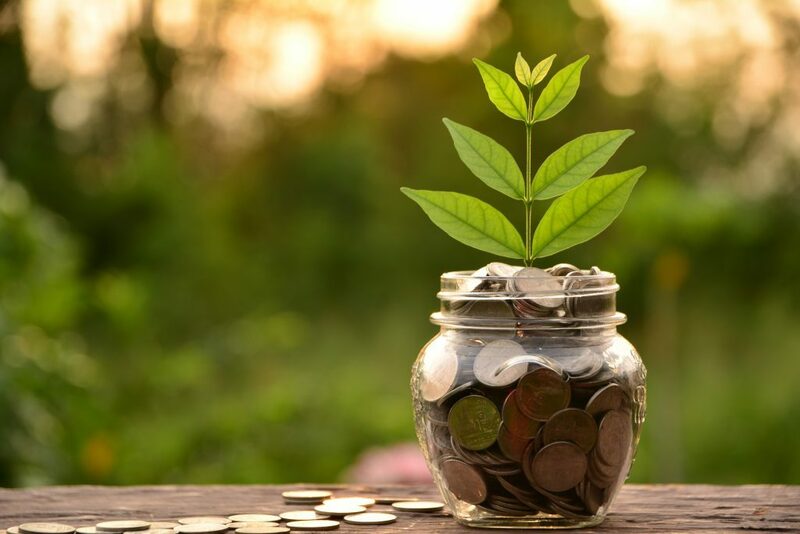 The management fee is an annual fee charged by the fund manager for the management of the fund, typically 0.5-2% per annum of the Net Asset Value of the fund. Other types of fees are charging when doing related changes. All those fees are usually payable, regardless of how well or poorly the fund performs. Therefore, even your fund’s value has been relatively stable or may perform well; the investor will get a lesser return percentage from your unit trusts investment. 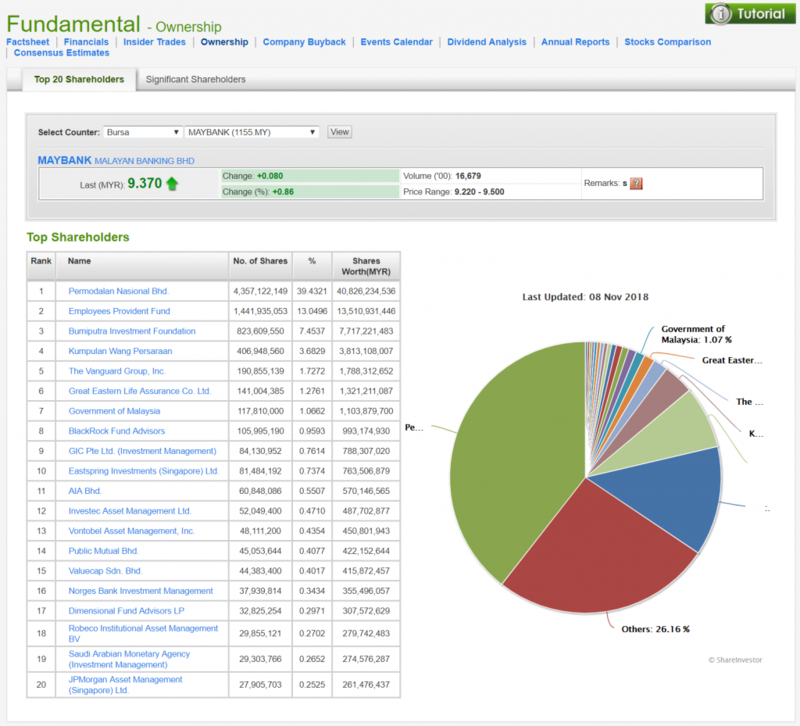 Stocks are the shares of companies listed on exchange trade platform. (ie. Bursa Malaysia, Singapore Exchange, Hong Kong Exchange, etc.) They are listed on the board and selling their shares to get capital to the company for development. Hence, the volumes of shares are limited to the companies’ offered. Every stock has their book value. The Board will display the last traded share price, and it might change by seconds to seconds. An investor has his right to put their money in which stock (no matter in which industry or country), and once the transaction is successful, the investor will become as a shareholder of the company. The investor has the right to buy or sell the stocks at any time as he decided and able to manage his portfolio in his favour. Stocks are segregate into high dividend stocks, blue-chip stocks, fluctuating stocks and so on. An investor can go in different kind of shares which suits their preference and personal risk compliance. High dividend stocks might have a lower chance at price appreciating. Blue-chip stocks are companies in the stable stage which can avoid much effect from market turbulence and lower down the risk for the portfolio. High volatile stocks might from some profoundly affected by the nature of some industries. (ie.petrol related industry, steel industry, etc.) They have the chance of getting price appreciated at the same time they also facing the risk of suffering loss. To trade on Bursa Malaysia, an investor needs to open a CDS account through a brokerage firm which subjected to RM10 once-off charge. The CDS account will act as a depository for you to keep the stocks after buying them. At the same time opening the CDS account, you require to open a trading account with the broker firm together. The broker will act as a helper to help you in dealing with every transaction. The broker firm has the standard brokerage charge (typically RM7-28 / 0.2% on the invested amount), and the government is also charging the fixed rate 0.001% of stamp duty and Bursa Malaysia also charging on 0.03% of clearing fees. The total minimum cost for a transaction is around RM10. Hence, the more significant amount invested, the lower the percentage of taxes charged which is also the payable cost no matter how the stocks’ performance. In conclusion, a unit trust is more suitable for the investor without investment knowledge as an investor need to prepare the money for the fund manager to manage it while investing in individual stock require a minimum investment knowledge and time-consuming in market observation as well as researches needed to select a good share. Written by Evelyn Yong | 7th September 2018. Why Should We Invest in Real Estate Investment Trust (REITs)? The term REITs stands for Real Estate Investment Trust. It is a trust fund that invests in Rental properties. REITs allow companies to purchase real estate or mortgages by using the combined of investment from the investors. They offer the benefit of real estate ownership to the investors which they may not face any problems that landlords usually encounter. Due to the nature of real estate investing, REITs typically do better in the low-interest rate environments and when the interest rates are increasing, it is usually a bumpy ride for the REITs market. How Does a Company Qualify as REITs? The company must hold at least 75% of total investment assets in real estate. The 75% of the assets that they owned must come from rents or mortgages property. The REITs pay out 90% of its taxable income to their shareholders as dividends. They are taxable entities that managed by a board of directors or trustees. They must be at least 100 of shareholders, and a few of the shareholders do not have more than 50% of shares during the last half of each taxable year in the market. There are two types of main REITs in the market, generally known as Equity REITs and Mortgage REITs. Equity REITs is used to purchase, own, and manage income-producing real estate properties. Equity REITs typically invest in residential, retail office, industrial and hotels. The revenue is mainly from the property rental income. Equity REITs can be beneficial to the long-term investors. This is because they not only pay out the majority of their income from rental to their shareholders, but also the shareholders may receive capital gains if there is the sale of properties. Mortgage REITs is a type of REITs that generally lend money to the real estate buyers or acquiring the existing mortgages or mortgage-backed securities (MBS). Mortgage REITs do not invest in the properties, but they will generate revenue through the interest paid on their mortgage loans. A mortgage-backed security is a type of securities that sold to a group of individuals such as government agency and investment bank that use to securitises packages loans together into a product that investors can buy. Mortgage REITs purchases mortgages on the secondary market. REITs listed on the stock exchange in Bursa Malaysia which allows investors to buy and sell in the exchange market. The minimum amount of units to be bought and sold is set to be 100 units per transaction. It tends to be more liquid when it compare to physical properties. 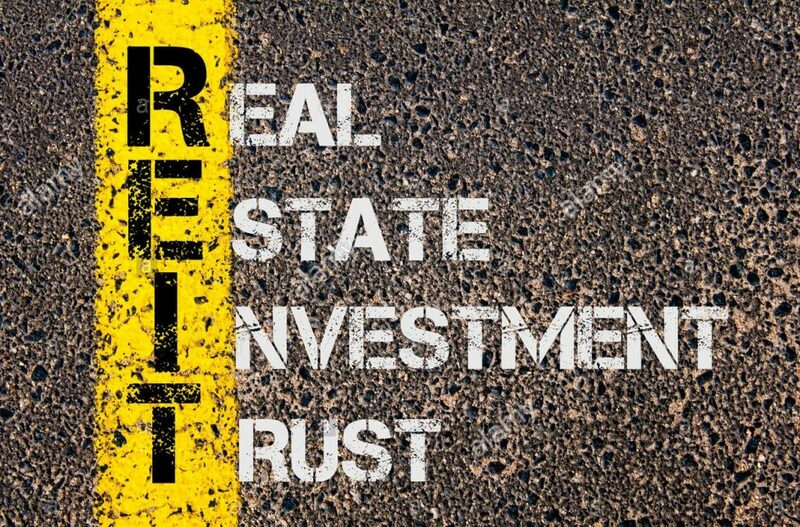 REITs can be bought and sell off quickly due to it had been a package like shares, where you do not need to own a whole building which will cost a lot more and needs to go thru a time-consuming process. Real Estate Investment Trust (REITs) can be an attractive investment option because they are producing a stable flow of passive income for the investors who seek consistently, regular income and long-term growth. The usual dividend payout schedule for REITs is on quarterly or bi-annually basis. Dividend payout for REITs is pretty attractive because they pay out nearly 90% of their net income that to be eligible for tax treatment. Besides that, REITs’ dividend tends to be higher than fixed deposit rates in the bank. Therefore, it helps investors to reduce the devastating effect of inflation. Real Estate Investment Trust can be helped to hedge against inflation. This is due to the rising of the resale value of the property over time, and also the real estate can be used to generate rental income. Just when the value of the property rises with inflation, the rental will be increased steadily, enabling the income generated by an investment property keep pace with the general rise in prices across the economy. REITs offer access to the real estate market typically with low correlation with other stocks and bonds, due to real estate markets price had lower volatility than in the stock markets. Capital gains play an essential role in the REITs as the ongoing collection of rental from the properties contributes excellent value. Such income does not link directly to the market’s sentiment at all. By adding REITs to the portfolio, it will help to improve overall diversification and create stable long-term returns. It is critical for us to understand the REITs first before investing in it. REITs are structured to be long-term investments because of its specific features of affordable and convenient, regular dividend, hedge inflation and diversification. In conclusion, an appropriate allocation of REITs in one’s portfolio can improve its potential to generate higher returns at low volatility. The stock market could be one of the valuable investment tools. However, some people may be reluctant to invest in the stock market because the fear of possible significant losses occurred due to the uncertainty and riskiness of the stock market. The risks associated with the stock market is not fully understood. Wise investors will always seek to minimise their risk as much as possible without diluting the potential of rewards. 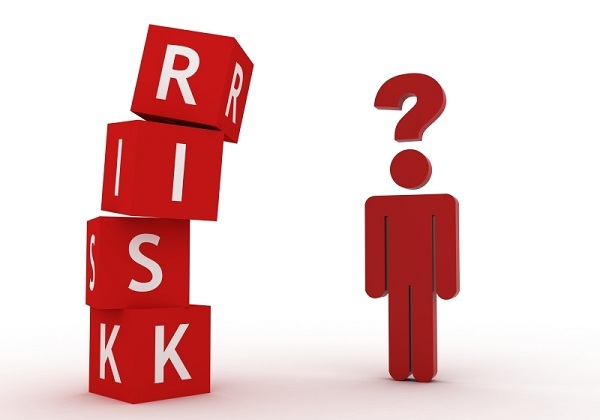 Let us look at the 3 significant risks faced by investors and the ways to avoid it. Market risks is a type of systematic risk that may cause investors to suffer losses due to the factors affecting the financial market’s overall performances, such as stock market bubbles, recession and so on. When there is a decline in the stock market, all the stocks would be affected regardless if they are large cap, small cap, mid-cap, growth stock, etc. This kind of risk cannot be diversified away, but investors can reduce the market risk by using tools such as portfolio construction. The examples, investors can protect themselves by investing in different types of securities such as stocks of both large or small companies, or bonds from both corporate and government issuers. Business risk happens to the company when there is a new competition, or unexpected events occurred causing the company to suffer loss rather than earning a profit. This risk may occur due to several reasons such as disappointing earnings reports, change in leadership, outdated products, wrongdoing within the company, competitions, government regulations, overall economic climate, etc. We frequently see such scenario, that when a specific company is facing any problematic event, the news will spread across to various media platforms. Therefore, the negative sentiment will be aroused and causes the shares price of the company drop. However, the other business with the same industry may not be affected and could be even profitable from it. To lower the exposure to the business risk, investors can invest in different companies categorised by sector. Liquidity risk arises when the investment is lack of buyer and seller in the open market. This type of risk will become higher when some investors wish to cash out their investment. Investors may find it hard to convert the assets into cash without incurred some loss due to widening spread on pricing. Diversification in an investment portfolio can help investors to reduce the liquidity risk. Investors can diversify their portfolio that consists of investment that has higher liquidity such as top 30 KL Index stock with some lesser known potential growth companies stock or bonds. Therefore, investors should always keep enough for his liquid asset to cover their short-term obligations. The practice will allow them to sell their long-term investments when they have risen in value, not when they desperate for cash and may need to take a loss or limit their profit. There is a way to evaluate the liquidity of an asset before purchase. 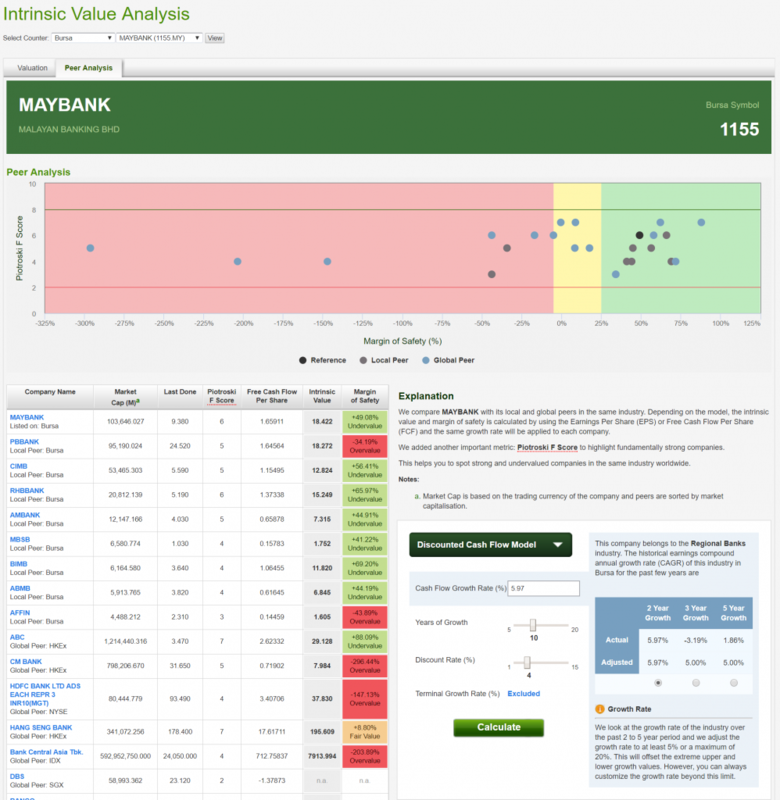 Investors can observe the bid-ask spread of the stock over time. Illiquid assets will have a wider of bid-ask spread relative to other assets. The narrower the bid-ask spread and the higher of volume indicate that there is a higher of liquidity. The common saying of high-risk, high return only reflects a gambler’s mindset. As a seasoned investor, one should minimise the risk and maximise the profit growth. To do so, each investor should spend the time to equip themselves with relevant knowledge and skills. Just like the teaching of Sun Tzu, “To Know One’s Own Strength And The Enemy’s Is The Sure Way To Victory”. Thus, maximum and continuous profits come from well versed with the market.